Practically impossible, really. Eighty years ago, Ibrahim [Touqan]'s love for Mary [Safouri] certainly would have been a forbidden love. This love only became known later, when Ibrahim became a famous poet and it was mentioned indirectly in some of his works. for the woman who is leaving." Our line--"for a woman, who's getting further away"--is closer to the Czech but, clearly, this is the woman rather than just a woman; "leaving" is more elegant and emotionally true than "getting further away". [Arthur Rimbaud] made several attempts to run away, following a friendly school teacher who was serving in Belgium, but was caught and returned to face his mother's wrath each time. Desperate, Rimbaud wrote two letters to the poet Paul Verlaine in Paris, enclosing several poems in his pleas for help in escaping Charleville. Returning to Flanders in 1918 he was wounded again--mistakenly, by one of his own troops--and went back to Blighty for good. The war had presented [Siegfried] Sassoon with a mental dilemma--how to reconcile his terror of the trenches with an urge to "prove himself". Talk to strangers? Have we come to believe that surveillance cameras in the high schools of tiny towns are necessary to teach our students the eternal vigilance they'll need to live in towns beyond their own? Or in their own? What with Columbine and Amber Alerts. Or would we be better off to listen to Stafford from his poem "Holcomb, Kansas"? The Trouble with Poetry is filled with meditations that meander from their main subjects to become, in a sense, anti-meditations or portraits of a mind avoiding itself. One of the pleasures of reading [Billy] Collins is following his narrator's digressive mind as it moves across the landscape of the domestic world we share with him. In some of the most interesting and successful poems here, however, Collins develops his ideas in less whimsical, more focused and ultimately more moving ways. "Hundreds of thousands of people have been murdered by these regimes, but the money, the resources, the equipment (of all kinds), the advice, the moral support, as it were, has come from successive US administrations." Before one writes this off as Bush-bashing, it is useful to note that it was written in 1998. But he [Harold Pinter] certainly has no love lost for Bush. [Harold] Pinter had already won himself a special place in the history of 'useful idiots' by describing the 9/11 attacks as "a justified retaliation" by Islamist militants. After the NATO intervention that stopped the Serbian genocide against Muslims in Kosovo, Pinter described US and Britain as Tony Bair as "terrorist powers". I bow to thee, my beautiful Mother Bengal!/On the banks of the Ganges thou coolest me with soothing breezes./Thy open fields touching the horizon in a loving kiss--/thy tiny villages in the shade,/Thy leafy mango-groves, playhouses of the shepherd-boy/With the deep pond of black waters, cool as the lover's embrace at night/are abodes of peace. Each brings us to a pause, a moment in which we lose and find ourselves again: delighted, disturbed and different than before. Won't the statue eventually smash, the painting fade, the face wrinkle and warp? Yes, but beauty leaves behind an indelible mark. Its loveliness grows, not in the physical world, but in the mind. Is becoming lost the worst that can happen to a book? Not necessarily. The lost book, like the person you never dared ask to the dance, becomes infinitely more alluring simply because it can be perfect only in the imagination. The celebrity book is supposed to profit from association with a name customers recognize. But sometimes that recognizable name comes with a real book. Caroline Kennedy's excellent new anthology (illustrated by Jon J. Muth) is an excellent book. Then Sisyphus watches the stone rush down in a few moments toward that lower world whence he will have to push it up again toward the summit. He goes back down to the plain. It is during that return--that pause--that Sisyphus interests me. A Palestinian medical source in Ramallah reported that Farha Barghouthi, 74, a mother of two detainees from Kobar village, west of Ramallah died on Saturday after a long fight with illness. The mother's only wish was to be able to see her two detained sons imprisoned in Asqalan central detention facility. "He is probably the best representative of poetry that Ohio has ever seen and I don't know how we are going to recover from that loss," she said. [David] Citino died in his Upper Arlington home Monday after being released from the Arthur G. James Cancer Hospital Saturday. He had been receiving chemotherapy treatments for leukemia since September. NC activist Syed Ghulam Rasool alias Gayoor was killed when militants intruded into his house at Ratnipora in Pulwama district today and fired at him, the spokesman said. Gayoor, a poet who was a crowd-puller for NC during the tenure of party founder Sheikh Mohammad Abdullah, was rushed to hospital where he was declared brought dead, he said. Minoru Fujita was a successful poet, a survivor, a romantic and a family man. "He obviously cared very deeply about his family. We knew he cared very deeply about us. He was very close to his siblings," said his daughter, Eri Yasuhara of San Bernardino. Fujita, a resident of San Bernardino, died Oct. 10 at his home. The cause of death was heart failure. He was 89. [Charles "Bud"] Johnson served in [Milwaukee Mayor Henry W.] Maier's administration in numerous capacities for 26 of its 28 years. He made his mark in government, but his chief passion was writing. And though he was Maier's chief speechwriter who drafted the mayor's major policy documents, he began his career writing scripts for radio programs and spent his retirement writing poetry and short stories. "No damsel within the curtained palanquin." This is the refrain in a poem by Pasuvayya. The verse throbs with the excitement of the cavalcade -- led by the haughty sword-in-hand warrior on the steed, a sweaty rearguard. The images echo countless legends and folk tales. But the rhythm re-invents the scene, the mood, the emotion. [Andrew David] Russoli was the cute one, the girls said. The one everyone had a crush on. His sense of humor, his laugh, were infectious. He was a poet. When he watched movies, his mother said, he tried to learn the moral of the story and live by it. "John Santoianni was a beloved agent in the New York theatrical and film communities and was known for his keen wit, charisma and genial sensitivity," said Ferenczi. "In recent years, he dedicated himself to his own writing and became a deeply gifted, imaginative and thoughtful poet," she said. Lisa [Trafton] loved tea, yoga and was a literature buff. She worked at the East Towne Waldenbooks and was an employee of Pipefitter on State Street. Lisa found peace in her photography and was an avid poet and writer. She had a knack for vintage fashion that gorgeously displayed her unique personality. In its citation, the Academy said [Harold] Pinter was "generally seen as the foremost representative of British drama in the second half of the 20th century," and declared him to be an author "who in his plays uncovers the precipice under everyday prattle and forces entry into oppression's closed rooms." Q. How do you think poetry makes a difference in activism? "I like to think that these are very practical poems," [Drum] Hadley says. "They're practical in the sense of getting a job done like saddling a horse or a bronc. And they're practical in letting go of something in your life or bringing something into your life." Hadley's poetry and his life are devoted to sustaining a way of life. I believe that some people are called to record their history. To take a written snapshot of the slice of time, place and people they belonged to. It is when people like Marian Haddad answer that call that we can continue to gather together the album of humanity, and really start to understand the things that bring us together rather than tear us farther apart. He said "My dear friend we understand all what is taking place in Jowhar and Mogadishu and we share the problem with our fellow Somali men and women but this child of mine" pointing his finger to a two year old kid "is Hungary. Can he understand what President Yusuf and Parliament speaker are talking about?" from Saylac: Is That Not a Shame? One poet starts a theme, others take it up, then a chain develops, drawing people into the arguments. "I wrote something against tribalism that became an attack on the president," [Maxamed Xaashi Dhamac] Gaarriye explains. "Within four months the chain was more than 70 poems long." And that was when the secret police came to visit. Shortly afterwards he fled to Ethiopia and an exile that lasted until 1991. It was not that Mr. Landis [Everson]'s poetry had been rejected, but rather that, for him, poetry is a communication between friends, not a commercial enterprise. "I wasn't seeing my friends," he said simply. Those friends were among the poets who became known as the Berkeley Renaissance writers: Robert Duncan, Jack Spicer, Robin Blaser. "The entire township, heading north in cars, in trucks, on bikes, on foot, . . .
heading south to the guns and the promise of fresh meat." The sixth century poem 'Pais Dinogad' in the Book of Aneirin boasts of the astonishing hunting abilities of Dinogad's father, and suggests he killed a 'llewyn' as well as a roebuck, a boar and a stag. from icWales: Was Welsh poet right about lynx legend? George Herbert speaks to God; Walt Whitman to the reader in futurity; John Ashbery to a painter of the past. What are we to make of this choice of addressee? With many visible listeners presumably available-the beloved, the patron, the child, the friend-why does the poet feel he or she must hold a colloquy with an invisible other? Rather than retreating from fear, however, she [Helen Farish] tackles it head on with the strength of character that typifies this collection, concluding with a bitter-sweet four-liner in which she outlines, neatly and brilliantly, her vision of her own ending. "My habit of late-light walking," she says, "will mirror my life, how in its twilight / I'll rush out saying, how beautiful - /has it been like this all day?". John Terlazzo consistently addresses life's most difficult and challenging issues in his art and poetry. "The poet Robert Bly says that 'the artist's work is to turn up the heat,' and I'm with him," Terlazzo explains. "If poetry doesn't ask the difficult questions, it's no longer poetry." Although this poem by North Carolina native Ron Rash may seem to be just about trout fishing, it is the first of several poems Rash has written about his cousin who died years ago. Indirectly, the poet gives us clues about this loss. By the end, we see that in passing from life to death, the fish's colors dull; so, too, may fade the memories of a cherished life long lost. Unshowy art underlies the simple telling, the naturalness of the language, a voice that can say "another world in there" as naturally as "thus the hawk in times past." The narrative says that one leg hung by a tendon but "with his sharp pocketknife/Roy cut it off and left it lay//But brought the hawk home/ to feed it til it got well." David Citino, the poet laureate at Ohio State University and an English professor there for more than three decades, died Monday. He was 58. [Shanul Haq Haqee's] two anthologies of poems, Taar-i-Pairahan (1957) and Harf-i-Dilras (1979), testify to his refined poetic taste. Dil ki Zubaan is a selection of his hundred ghazals. Mr Haqqee tried his hand at other--and relatively little known--genres of poetry, such as ?Peheylian? and ?Kehmukarnian?, which were published in a collection, Nazr-i-Khusru. He also composed Qitat-i-Tareekhi and poems for children, which were published by the Hamdard Foundation in a book called Phool khilay hain rang birangey. Devi Shankar Prabhakar, former Joint Director of Haryana Public Relations Department and a well-known writer and a poet, died today. He was also a recipient of the Haryana Sahitya Academy?s Lakhmi Chand Award. His remains were consigned to flames at Panchkula cremation ground. Despite lack of formal education, Sundara Ramasamy was proficient in Tamil, Malayalam and English. He won the Kumaran Asan Memorial Award for Poetry (1998), Iyal Award (Life Time Literary Achievement Award) presented by the University of Toronto and the Tamil Literary Garden of Canada (2000) and Katha Chudamani Award from Katha, New Delhi (2003). He wrote poetry under the pen name Pasuvaiah. Fifty years ago today, Allen Ginsberg's poem "Howl" helped launch the Beat generation and changed the way Americans viewed poets and society. The poem's effects are still felt in the way poets write, the way young people see their world and the way art is perceived and performed. It is hard to imagine what an extraterrestrial life form might think if confronted with the words "you're human/they are human/we are human/let's try to be human/dance!" Will they break out into an impromptu jig? Or simply wonder what all this "human" nonsense is about anyway? Evidently, enough people want to find out. An observer at the scene would never have guessed that here stood one of the greatest librettists in the history of music, but sure enough, it was Lorenzo Da Ponte, a name that would be forever yoked to the beloved operas that his graceful, witty and songlike poetry enabled Mozart to create: "Le Nozze di Figaro," "Don Giovanni" and "Così Fan Tutte." First of all "experts in hand-to-hand action" are brought in to make predictions. The death itself is then described through the mouth of a macabre tennis commentator ("took his head off his spine with a backhand slice--/beautiful stuff"). We move to the grieving mother--"she shaved her head; she tore her frock . . ./ripping her fingernails through her cheeks". [Saadi Shirazi's] best known works are the Bostan (The Orchard) and the Golestan (The Rose Garden). The Bostan is entirely in verse (epic metre) and consists of stories aptly illustrating the standard virtues recommended to Muslims (justice, liberality, modesty, contentment) as well as of reflections on the behaviour of dervishes and their ecstatic practices. The Golestan is mainly in prose and contains stories and personal anecdotes. Yet she had to wear one herself. In Pakistan, she had no name, no degree, no poetry. But then, [Raul] Rivero says, he let his mind wander back to the "many, many women" he loved, married, didn't marry, lost or left, and he began to eagerly pen odes to "love and ex-love." "Every time I finished a poem, I felt that they had not defeated me," said the 59-year-old, freed in April and now living in Madrid, where his jailhouse poems were published under the title Corazón sin furia (Heart Without Fury). [Enrique] Aranda and his brother Adrian, an accountant, were arrested after leaving a Mexico City diner and taken to a city police barracks where they were punched in the stomach and beaten on their backs with nightsticks. Plastic bags were held over their heads as they began suffocating--again and again. Legion was written (I suppose) as a result of something like cultural pressure, so perhaps artists will discover climate change displacing other subjects as more Katrinas make landfall, more polar ice falls into the sea, more harvests fail and water-war becomes a buzz-word. I hope so. Descriptive poetry depends for its effects in part upon the vividness of details. Here the Virginia poet, Claudia Emerson, describes the type of old building all of us have seen but may not have stopped to look at carefully. And thoughtfully. As [Robert] Wrigley does not deny his interest in the animal world but acknowledges the limits of his knowledge, [Pihilip] Schultz does not deny his frustration with the political organism of the state, which he cannot control. The poems also share poetry's thirst for knowledge, to know the ineffable auras and undertones of a moment, the insatiable wish to know more about the fleeting, particular occasion. Often, if our writing begins to seem narrow and unadventurous, it is because we are reading in circles: either returning to the same tried-and-tested tradition again and again, or looking at new work with a lazy eye and listening, if we listen at all, with one ear tuned to the oft-heard and the lazily complacent. Now and again we need to jump: to set aside our cultural, philosophical and religious prejudices and open our minds and ears to something else. After she retired after teaching for about 30 years with the Princeton City Schools in Hamilton County, Cordia Collins spent winters in Florida. Her husband, Arnold, would drive them there from their home in Villa Hills. As he drove, she would write poetry. As a pastime, Dr. [Leopold B.] Felsen wrote poems about science and other topics, and published many of them in a "Poet's Corner" he established in an electronics engineers journal. A poem, "Raves About Waves," began: "Those of us who are addicted to waves/Are constantly tricked by how a wave behaves." Gideon Ferebee, Jr., a longtime central figure in the local black gay arts scene, died Sept. 24 of pancreatic cancer at his Washington, D.C. home. He was 54. Ferebee, a poet, actor and activist, will be long remembered for considering the plight of the black gay male long before such discussions were more common, said Ron Simmons, his longtime friend. Prominent Turkish author and poet Attila Ilhan, who passed away last night in Istanbul at the age of 80, served Turkish literature more than 50 years. Dennis Kim, 22, of Bay Ridge, leapt into the swift and turbulent river Wednesday night. Friends who were with him think Kim dove in to retrieve his poetry that was in the bag. "When it went in, I said, 'Let it go,'" recalled Jennifer Hare, 17, who was walking with him. We, once again, strongly condemn the sentence passed down by the Intermediate People's Court of Yingkou city, Liaoning province. We also call upon the international community to help rescue Zheng [Yichun] and those alike who are upright and dare to speak their minds. Let us unite, call for justice, and show our utmost support for the people who are suffering in the great land of China. It's a pillar on its side. For [Shubhangi] Jayakar, these lines betray a "gap between the world of the protagonist and the world of the devotees". For "a traditional devotee", she says, "every object in the temple exists at two levels. saying them, writing them down? He [Wendell Berry] concludes finally that the poet must listen as things "call themselves/by whatever they call themselves"; then "we must call all things by name/out of the silence to be with us,/or die of namelessness." Sinéad Morrisey is part of a fascinating new school of poets in Ireland, mostly in their 30s, who take pleasure in the denseness and complexity of language and are driven to test how much the body of a poem can contain. It pays to be explicit about that, because so few people keep track of the university quarterlies now. Many of them are still around, with a modest if reliable subscriber base in the libraries. But it often seems as if they continue just by inertia. With the other Nobel Prize announcements already in full swing, many expected the Swedish Academy to confirm the date on Tuesday. Instead, it kept silent, suggesting the coveted award will be announced Oct. 13. She's been penning poems since she was a young girl and is now Wales' first national poet, but Gwyneth Lewis has never written one on what her country means to her--until now. Too often, what follows is a strange detachment. Where warmth was kindled and connection cajoled, an unfortunate, corporate coolness takes over. U.S. poet laureate Ted Kooser etched this phenomenon into a poem he calls "A Death at the Office." Poetry can be heard in brief notes emerging from the rubble of Katrina--the hand-painted signs on empty spaces where homes used to be, scrawled on the walls of those places which more or less still stand and in the spare letters from children. At the press conference this morning Robert Bittlestone, James Diggle, and John Underhill announced that they have found new and compelling evidence in support of the location of ancient Ithaca, the island described vividly in Homer's Odyssey. First, I think it's good to dispense, more or less, with the idea that the poem's speaker is significantly different from the poet. They may be different of course--as in Tennyson's "Ulysses"--but even if it's so, the distinction is ultimately a minor one since a poem's speaker is a poet's self-projection. So, let's walk through Amy Clampitt's "On the Disadvantages of Central Heating." With this sonnet poet Emma Lazarus gave a tongue to a statue. And its description captured so well the sentiment of the United States as a land of freedom and opportunity that the poem has been loved and respected since it was first placed on the pedestal of the Statue of Liberty. Descriptive poetry depends for its effects in part upon the vividness of details. Here, Virginia poet Claudia Emerson Andrews describes the type of old building all of us have seen but may not have stopped to look at carefully. And thoughtfully. The word "wanting" means both to desire and to lack. These related feelings are basic to life and to poetry. The lyric poem organizes the sounds of language so that the very cadences and patterns express wanting something. 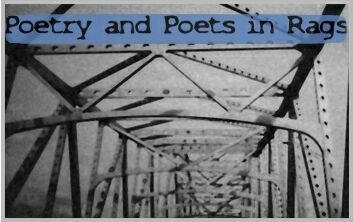 Two very different poets address this most fundamental of subjects in their recent books. It is the source of his vitality. It is in this context the inspiring story of the life of Rev Henry Francis Lyte serves as a beacon light for all of us even today. Rev Henry Francis Lyte (1793-1847) was born in Scotland on 1 June, 1793. He was the second son of captain Thomas Lyte of the Royal Marines and Anna Maria. Orphaned at an early age, Lyte attended Trinity College in Dublin, Ireland, distinguishing himself in English poetry. From The Talking Horse and the Sad Girl and the Village Under the Sea by Mark Haddon, published by Picador price £12.99. I love the element of mystery in this poem, the questions it leaves with us. The cottage is clear in our mind?s eye, yet we can?t quite comprehend what is happening there. There is a puzzle with missing pieces. Margaret [Morrill] has packed a tremendous amount into this short poem ? as much by what she has not said, as by the specific images she does include. [Debberae Streett] addresses a variety of issues in her work, including place, history, the environment, politics, love and seemingly everything in between. Always up for a challenge, Streett also enjoys writing form poems. Streett's poem "Edges" is a form poem known as a quatern. A French poetic form, the quatern has been around since the end of the Middle Ages. [Michael John McCoy's] training was to kill, at an age when he couldn't legally drink beer. His participation in this war haunted him the rest of his life. Much of his poetry expresses the pain and conflict he felt as a soldier-boy, taught to become a taker of life, though his inner spirit was loving and giving. Mr. [Nipsey] Russell's way with a rhyme grew out of an appearance with longtime "Tonight Show" sidekick Ed McMahon on the TV show "Missing Links" in 1964. Closing the show, McMahon turned to the comedian and co-host and asked whether he had a poem. Suddenly he did, spontaneously, and from then on he was expected to have verse at the ready, whatever the occasion. A condolence meeting was organized in the office chamber of Additional Secretary, J&K Cultural Academy Jammu Mr T. R Sharma on the sad demise of Sh Parshan Singh Sharaf a noted Punjabi poet of the state. He was 81 years of age. [August Wilson] analyzed the elements each contributed to his art: "From Borges, those wonderful gaucho stories from which I learned that you can be specific as to a time and place and culture and still have the work resonate with the universal themes of love, honor, duty, betrayal, etc. From Amiri Baraka, I learned that all art is political, although I don't write political plays. From Romare Bearden I learned that the fullness and richness of everyday life can be rendered without compromise or sentimentality." He added two more B's, both African-American writers, to the list: the playwright Ed Bullins and James Baldwin.